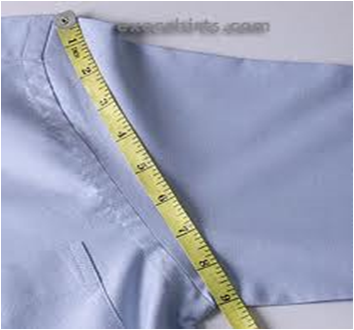 Knowing the proper use of sewing tools and equipment will help you produce well-fitted garments. 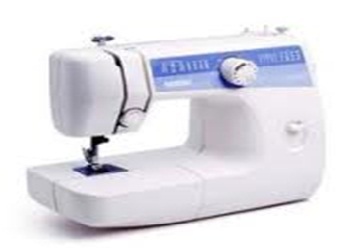 Sewing tools and equipment are classified according to their use such as measuring tools, cutting tools, drafting tools, marking tools, sewing gadgets/accessories and equipment. 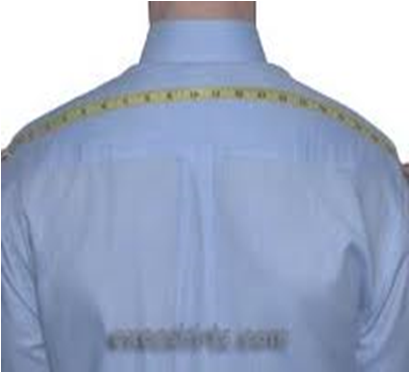 Tools use to determine the magnitude of the body and the materials in constructing garments to ensure good fitting. Is used to measure short distance and serves guide as a guide in drafting lines. 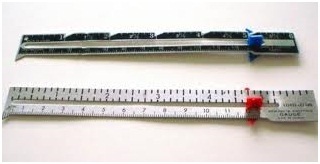 is a man-made measuring tool used to measure hem lines. Tools used to draw symbols and markings on the pattern. 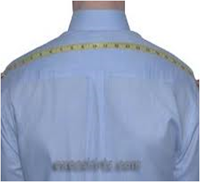 Use them for accurate construction of your garment. Marking your garment means transferring the symbols and indications that are printed on the pattern pieces of your fabric. These tools are used at the same time; used tracing wheel to transfer marking from the tracing paper to the wrong side of the fabric. Chalk marks easily and rubs off easily for smaller indications on patterns. 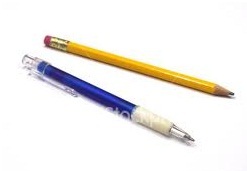 Chalk pencils are used for small marks. Disappearing pens are a type of pen whose mark disappears on your fabric within 48 hours and the other type washes off with water. 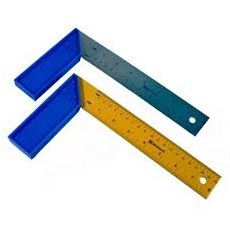 Is used to draw perpendicular lines, square corners and divide measurements. Is used in shaping hips, skirt hemline and hip shape seam. 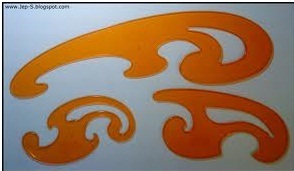 Is used to shape necklines, collars, arm holes and other curved modified designs. 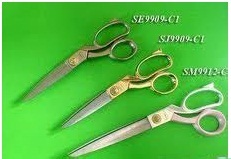 Scissors and other cutting tools should be kept in top condition and sharpened periodically. Sewing scissors should only be used for sewing and not for cutting other things. 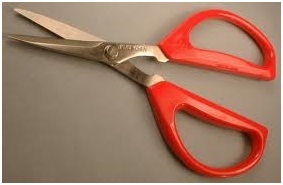 Shorter scissors are used for clipping and trimming. The handles are of the same size. This small, short bladed tool is used to rip incorrect machine stitches. This small short bladed tool is used for clipping threads and ripping seams. 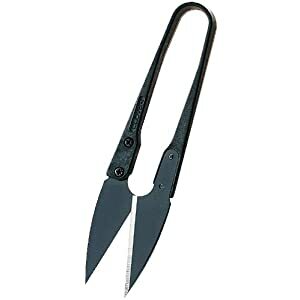 Pinking shears cut a zigzag edge and are used to prevent raveling on raw edges of seams. These shears do work well on fancy fabrics where bulk is not desirable from extra threads of surging or zigzag. These tools are used to make professional looking garments. Pressing often at every step of the construction is the secret to the “store bought” look rather than homemade look. 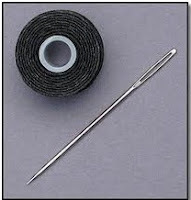 It is essential in sewing. It has a wide range of temperature settings. Test on fabric first to determine temperature setting needed for particular fabric. 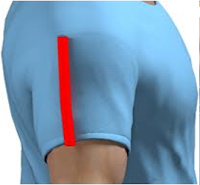 It is very useful when pressing curved areas like sleeve caps. It is helpful for pressing garment, goes with the steam iron. These are small but dispensable things used in sewing. A pointed metal with an eye to carry thread and sew two fabrics together. For machine use-needle that is attached to the machine, its eye is located near its point. For hand sewing-slender metal with an eye at the end point used to join fabric together using hand. A small cushion to keep pins. A gadget used to push needle and to protect hands. 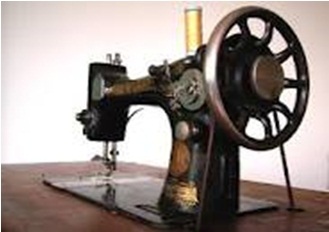 A sewing machine is a textile machine used to stitch fabric, cards and other material together with thread. Sewing machines were invented during the first Industrial Revolution to decrease the amount of manual sewing work performed in clothing companies. Since the invention of the first working sewing machine, generally considered to have been the work of Englishman Thomas Saint in 1790, the sewing machine has vastly improved the efficiency and productivity of fabric, clothing and needle industries. Home sewing machines are similar—designed for one person to manually sew individual items while using a single stitch type. Modern sewing machines are designed in such a way that the fabric easily glides in and out of the machine without the hassle of needles and thimbles and other such tools used in hand sewing, automating the process of stitching and saving time. 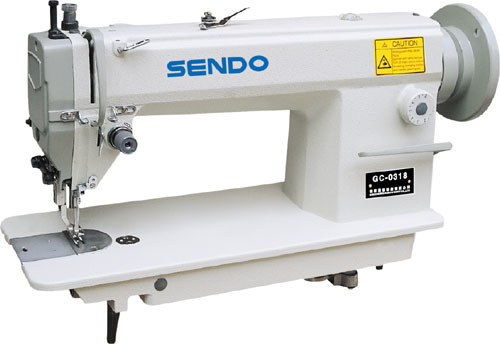 The traditional sewing machine that can be used electrically or manually. 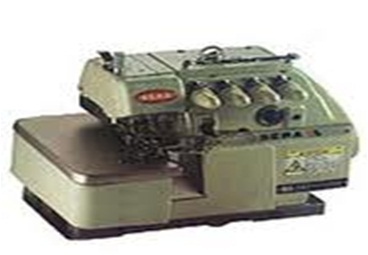 The machine that can be found on the factories; it is a heavy equipment used for sewing. Used to stitch the edge of the fabric to prevent fabric threads from taking off. Has different stitches available; it is used in designing fabrics. It can be transferred easily from one place to another. Consist of all the mechanical parts of the sewing machine. 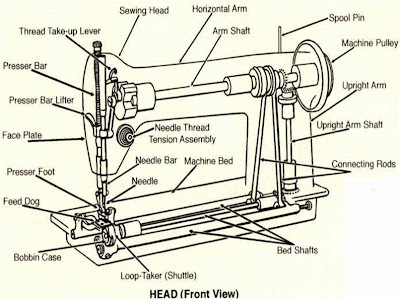 a.Bed-the flat part of he head where the fabric is put while sewing . b.Balance wheel- it is found at the right part of the head; it is connected to the belt that controls the movement of the take-up lever and needle bar. c. Bobbin winder-used to wind thread on the bobbin; it is located near the balance wheel. d. Slide plate- the metal covering of the bobbin shuttle. e. Throat plate-a semicircular plate beside the slide plate. f. Bobbin shuttle-it is where the bobbin and the bobbin case are attached to do the sewing. 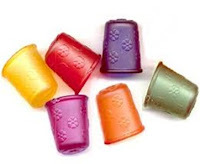 g. Spool pin and thread guides-the spool pin holds the thread in place while the thread guide prevents the thread from knotting itself. 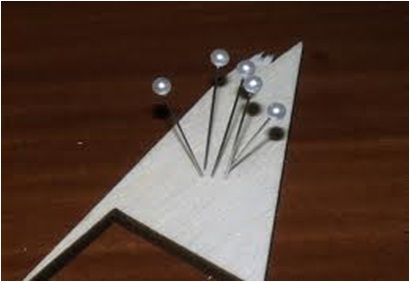 h. Needle bar- a metal bar where the needle is attached. i. Needle clamp-holds the needle in the needle bar. k. Presser foot-holds the fabric in place while sewing. l. Presser bar-holds the presser foot. m. Presser bar lifter-raises up and lowers down the presser foot. n. Feed dog regulator-a tooth like metal that moves the fabric while you are sewing. 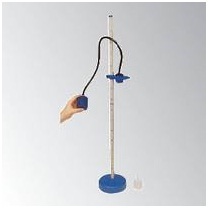 o. Stitch regulator- controls the length of the stitches you make. p. Thread take-up-lever-pulls and pushes thread to stitch easily. q. Upper tension regulator- controls the tightness or looseness of the thread. r. Face plate- covers the needle bar and the presser bar; it is located at the left side of the head. s. The cabinet-the table and body cover of the sewing machine. t. The stand-serves as the feet of the machine and it consist of some functional parts that make the sewing machine move such as , peal, drive wheel and pitman rod. 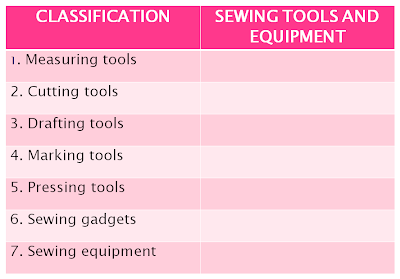 1.Why is it important to know the classification of sewing tools and equipment? 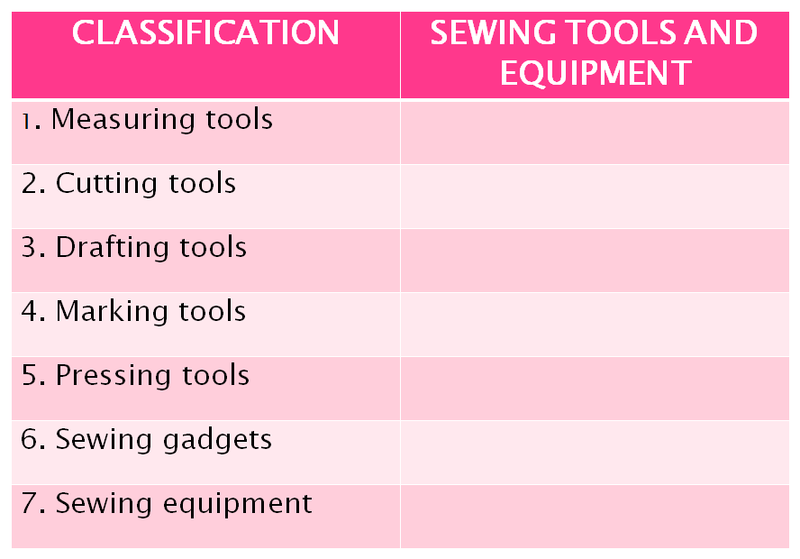 2.What is the advantage of knowing the function of the different sewing tools and equipment? 3.Application – cut a pictures of sewing tools and equipment. Identify and classify each. 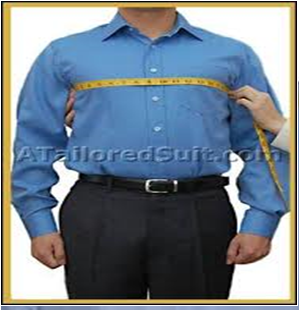 Body measurements should be taken carefully to assure a well-fitted garment. These measurements will be applied in pattern drafting. 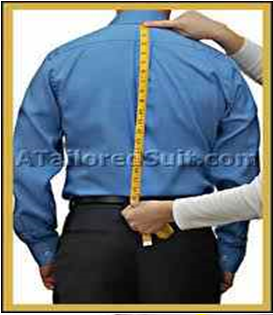 Length measures are taken first before the measurements around the body are taken. Taken from the nape bone down to the desired length. 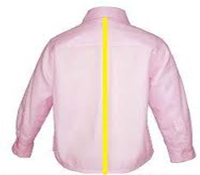 Taken from the nape bone to the level of the waist; this measurement is taken when the style of the shirt is fitted on the waist. Taken from the tip of the shoulder to the other tip. Taken around the fullest part of the body, the breast line, with two fingers inserted and holding the tape measurement. 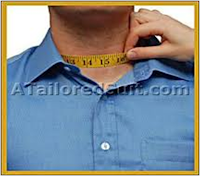 The measurement taken will be divided into 2 to convert it into breast scale. Taken around the neck with two fingers inserted and holding the tape measure. Taken from the tip of the shoulder to the desired length of the sleeves. 1.Take body measurements needed in constructing a shirt. 2.Take the body measurements of 5 persons. 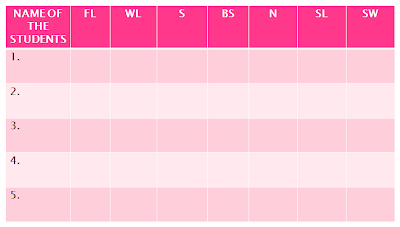 1.Whose measurements have the same statistics? 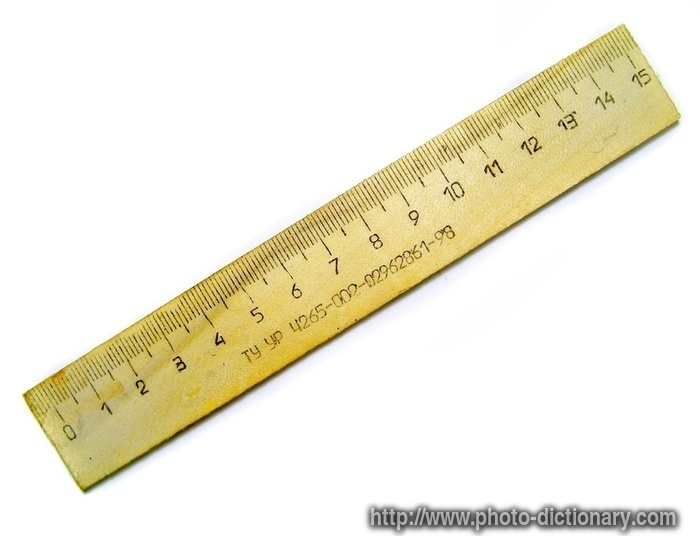 2.What are the average measurements of the measurements you have taken? Click Here to Download Power Point Presentation. 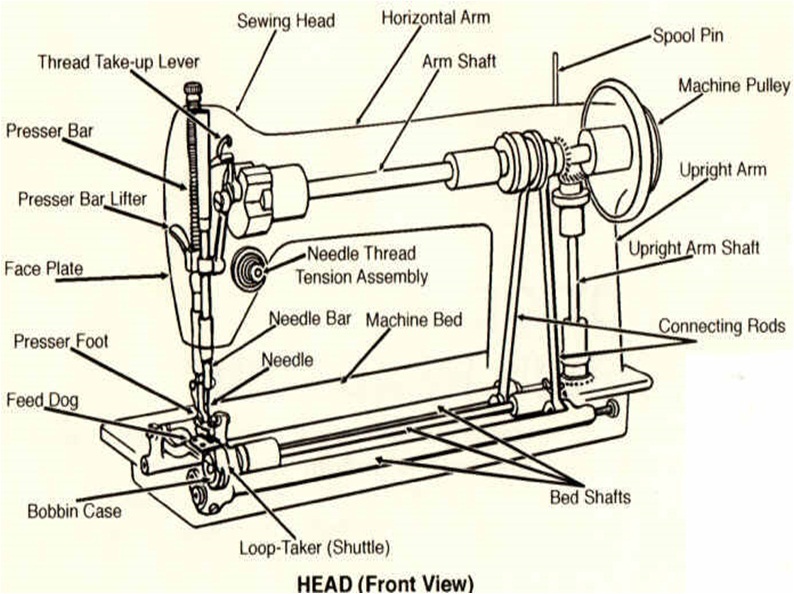 See video below on how to operate a sewing machine.